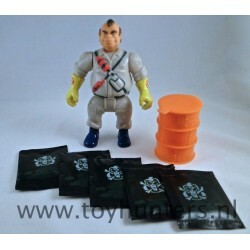 Figure is in very nice condition and comes with his Barrel and 5 sealed toxic bags!! Overall very nice displayable figure, from Captain Planet by Tiger toys in the 90s. 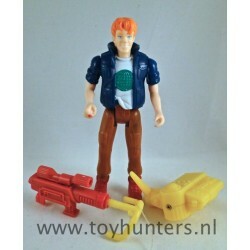 Figure is in very nice condition and comes with his Grappling Hook and Launcher (cable is not connected) Overall very nice displayable figure, from Captain Planet by Tiger toys in the 90s.